Are you a parent who wants to know more about teaching how to read? Learning to read is a huge step in your child’s life and one which you, no doubt, want to be a part of. Educational reports often highlight the failure of our schools to teach reading effectively and this is a worry for any parent. The conflicting advice on different methods used in teaching how to read can also easily leave us feeling bewildered. It comes as no surprise, therefore, that many parents want to understand more about the processes behind teaching how to read and how they can best support their children in taking this important step. 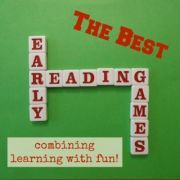 Have you heard of babies being taught to read and are wondering if there is anything in it? Maybe you are thinking of teaching your preschooler the basics before she starts school? Are you interested in teaching your child to read using an effective reading program, but are unsure of which instructional method to follow? 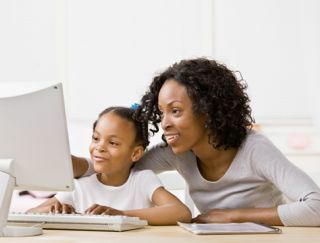 Or do you want to be able to support your child effectively once she starts being taught at school? Read on for some straightforward information on proven methods for teaching how to read. 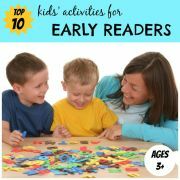 There are a number of different methods you can use to teach your child to read. The question of which is the best method continues to promote lively debate, with experts believing passionately in one approach or another. The reality is that all of the methods have shown success to some degree. Before we get into the details of the different methods, first a word about phonics. Our writing is a code in which our speech is broken down into individual sounds and represented by letters. Phonics teaches the correspondence between these letters and the sounds they represent. The main teaching methods can broadly be categorised into those which employ phonics and those which do not. In phonics methods for teaching how to read children learn how to decode. They look at the individual or groups of letters, recognise the sounds and blend them together to form a fluent word. Children can therefore read new words which they have never been taught. In alternative teaching methods children learn to recognise whole words or sentences rather than individual sounds. Repetition in books or through flashcards is used to enable the child to memorise new words. They may also be taught to take clues from pictures accompanying the text. 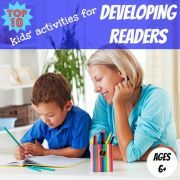 Keep reading for a more detailed description of the different methods you can use to teach your child to read. Our writing is a code in which our speech is broken down into individual sounds and represented by letters. Phonics teaches the correspondence between these letters and the sounds they represent. Children are taught to look at the individual or groups of letters, recognise the sounds and blend them together to form a fluent word. There are several approaches to teaching how to read with phonics which vary according to how the letter-sound combinations are represented to your child and how your child decodes unknown words. In Analytic Phonics children are taught to look initially at the whole word and then break it down to compare parts of the word to letter-sound relationships they have come across in previously learned words. Similarly spelt words are learnt together in rhyming groups called word families. In Synthetic Phonics children are taught to link an individual letter or letter combination with its appropriate sound and then blend the sounds to form words. Children are systematically taught the forty plus phonic sounds which make up the English language and the combination of letters used to represent each sound. The Look and Say, or Whole Word, teaching method teaches children to read through pattern recognition, rather than decoding the word into letters. Flashcards are often used with individual words written on them, sometimes with an accompanying picture. The flashcards are shown repetitively to children until they memorise the pattern of the word. They therefore build up an extensive ‘sight vocabulary’ – words which are recognised on sight. The Whole Language method for teaching how to read is based on the belief that all children will learn to read naturally, just as they learn to talk and walk. By simply immersing children in good books you can produce fluent and capable readers. 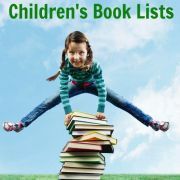 Interesting and fun books are used to excite children about learning to read so that they begin to memorise the many words they see in the books. Teachers look for opportunities in the books to point out phonic connections. Some reading programmes propose teaching a combination of both Phonics and Whole Language, but not at the same time. Proponents of these programmes believe that phonics needs to be taught separately, directly, and systematically to children, and not in the context of reading literature. But they also believe that children need daily exposure to good literature through reading aloud, discussion of the stories, and introduction to new knowledge and vocabulary. Once children learn phonics they need to practice what they have learned daily to become skilled readers. There are pros and cons for each of the different methods for teaching how to read. 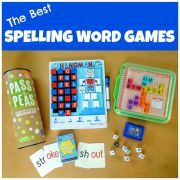 Phonics methods for teaching how to read can seem less engaging to children, with endless sounds to learn and simple books to read using regular words. However children like the fact that they can read the whole book by themselves, and can decipher a new word which they haven’t seen before. Children taught with whole word methods will have to guess when faced with an unfamiliar word and there is a limit to the number of words they can memorise. However these children are more likely to understand the meanings of the words they are reading and may be able to tackle more interesting books early on. Experts say that 50% children will learn to read whatever the method used. 25% of children will learn to read reasonably well, but may struggle with more complex words and spelling. The remaining 25% of children will struggle, unless they are explicitly taught the connection between letters and sounds as in the phonics teaching methods. If you teach your child to read on a one-to-one basis you can pick a teaching method which is most appropriate for your and your child’s needs. There is much controversy on which is the best method, but ‘best’ depends on the circumstances. Do you want a programme which is most likely to succeed in the highest percentage of cases? If so, Synthetic Phonics is probably for you. 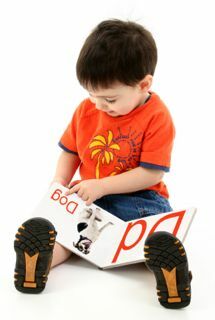 If you want a fun activity for your infant or toddler to start exposing him to reading words then the Look and Say method could be best. Or are you looking to improve your child’s basic reading ability, or is your child unlikely to be motivated by a formal instruction programme? Then perhaps a combination of Phonics and Whole Language is appropriate. Whatever you choose, don’t forget that this should be fun for both you and your child. If things aren’t progressing as you hoped, take a rest for a few weeks and come back to it later, or try a different teaching method. Good Luck! 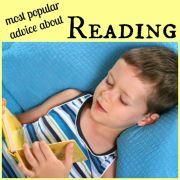 Have You Tried Teaching Your Child To Read? Was it a success or a bit of a disaster? Did you follow a specific teaching program? Do you have any tips for success or pitfalls to avoid? Share your experiences - good and bad - with other visitors to this page. Click here to see the rest of the form and share your experiences.